I didn’t like the way the water color pencils were reacting to my paper. Major fail! 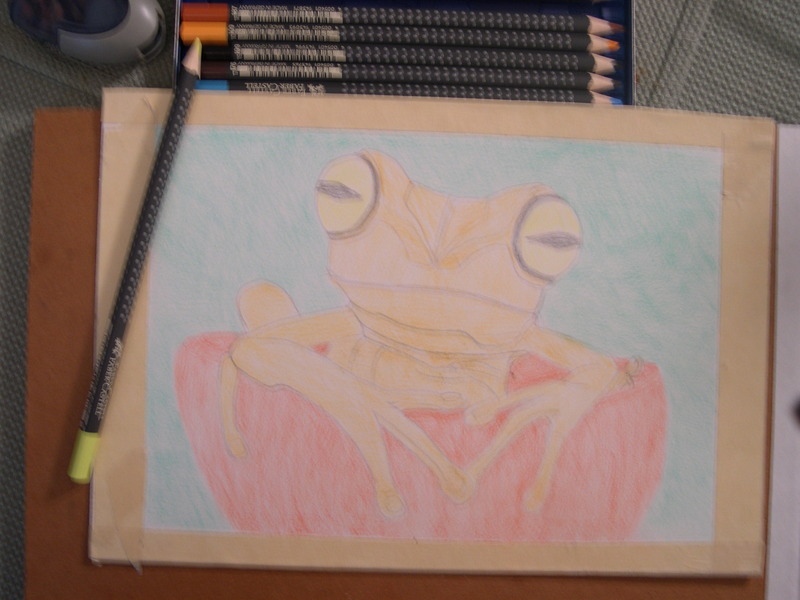 I love this frog and will get it on paper no matter how many times I have to try! I am going to use water color pencil, water colors, and brilliant water colors that reflect light. Here goes the second try! Failed Attempt with Water color pencil as main media element.